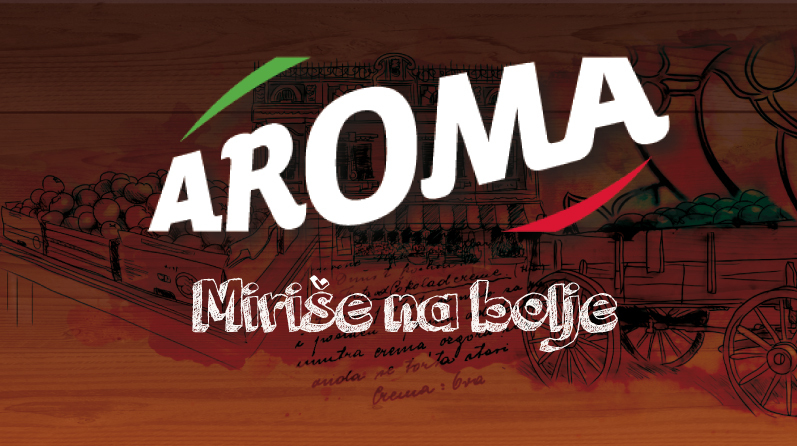 Aroma Markets, grocery store chain, approached us with a request to develop a brand image that will make clear to consumers that shopping in their stores is a unique experience for all senses, and also to send a message that they can always expect a pleasant neighbourly atmosphere. Our team created a fluttering, almost emotional TV advertisement charged with positive energy. Camera movement is dynamic and captures only the most interesting moments, and everything else is obvious from the context. By using graphical elements, we have illustrated pleasant sensory experience that consumers enjoy in while shopping, emphasised wide selection of fresh products and friendly, smiling vendors (which they really are). As a final touch, everything is accompanied by a poetic voice-over.